Our Christmas this year was spent at home. Jakub is already old enough to understand and remember, so we decided to make it a semi-traditional one. 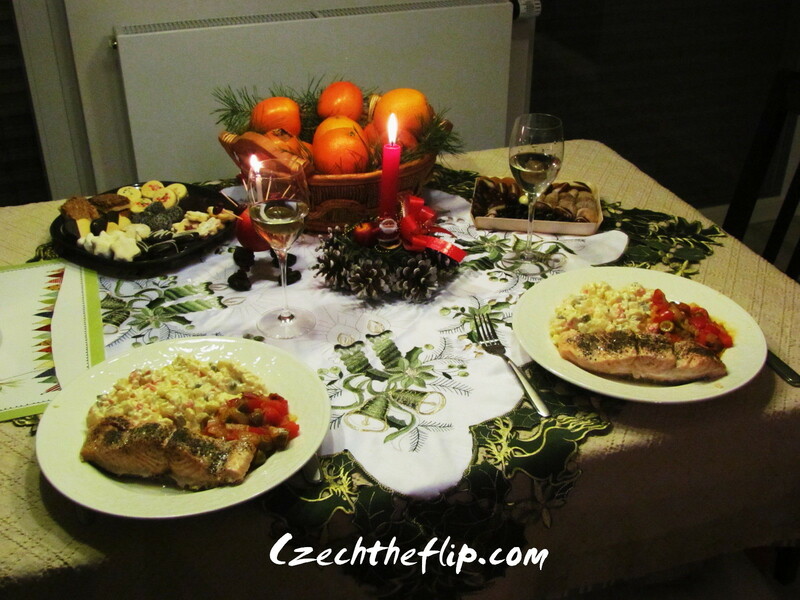 On Christmas morning, Jakub and my husband helped me set up the table. 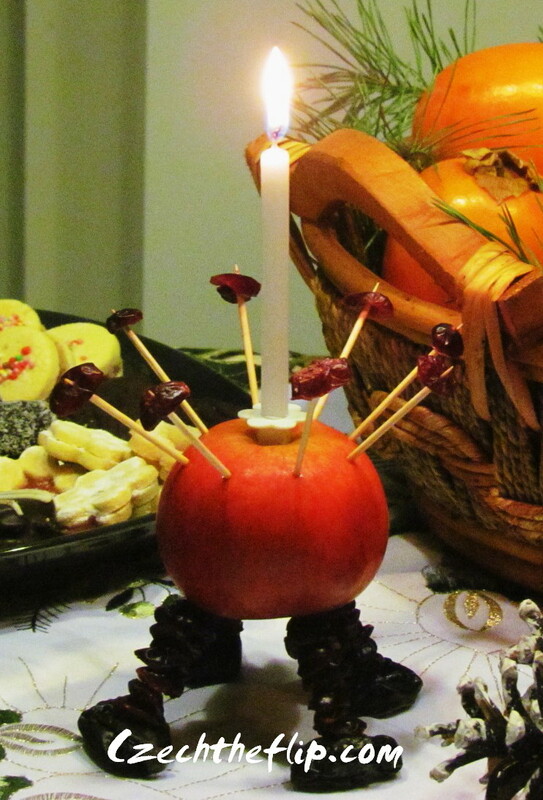 They made this traditional Christmas decor to adorn the table. In the Philippines, Christmas involves heavy meals with an abundance of food all throughout the day. Needless to say, it is one of those times when it’s ok to pig out. But here in Czech, people fast prior to dinner with the belief that one is eventually rewarded with the sighting of a golden pig. You can read more about it here. This is the part of the Christmas tradition that I don’t like. To keep up with tradition, we only had fruits for lunch. By 3pm, Jakub got so hungry he would eat anything. It was quite funny that he kept asking me: “what’s that, Mom? Can I have it?” He would eat onion if I let him. Thus, to end our misery, we ended up having dinner around 4pm , just after sunset. Another tradition is to eat fish, usually carp, at dinnertime. In our case, we had carp soup which my husband made. I’m not a very big fan of fish soups, but it was pretty tasty. But our main course was salmon. I don’t like carp that much, so Salmon was a compromise. At least it’s still fish. 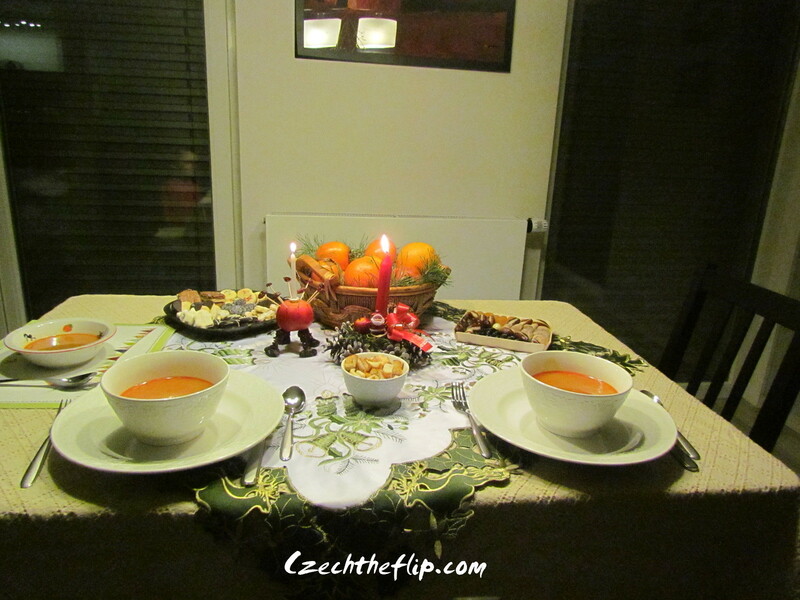 A very significant difference in tradition is that Czechs believe that Little Jesus brings the gifts, not Santa. But since we are a multi-cultural household, Santa is still a part of our Christmas story. It was quite difficult to make the Santa story work since we didn’t have a fireplace. So, I made up a story that Santa got sick and told Little Jesus to bring Jakub’s gifts for him. Jakub bought it. After all, he is only 3. Still very young and impressionable. He had a grand time opening his gifts from Little Jesus and Santa. Even my little daughter was very cooperative. She allowed all of us to have a decent family dinner and was just watching us from her rocker. 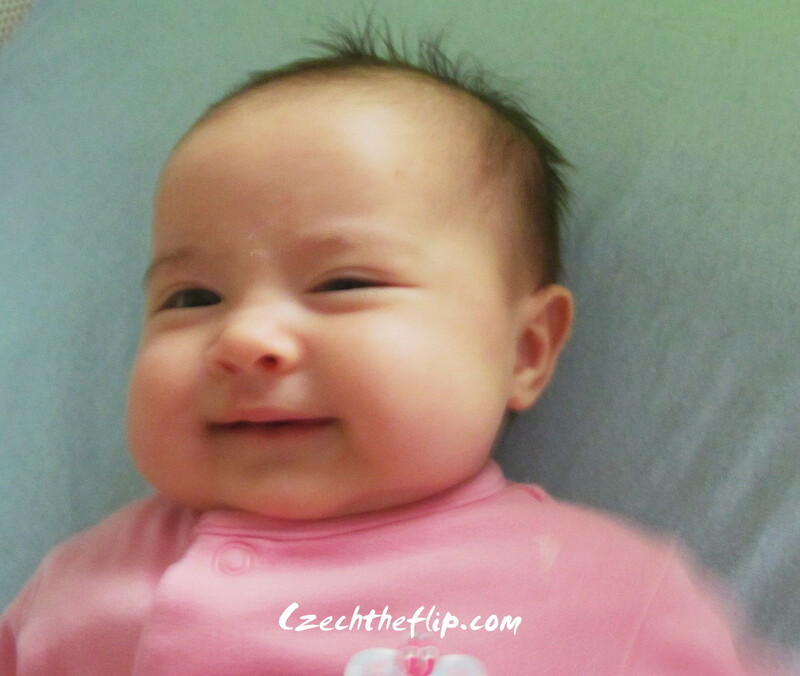 She just recently started to smile which really charms me and made me forget all the hardships we’ve been through. Everything went very well and it left all of us happy and satisfied. I hope yours was great as well. Best wishes for the coming year!